Two extraordinary live musicians with a shared passion for experimentation and club music: The Norwegian pianist Bugge Wesseltoft, a pioneer of electronic jazz, joins forces with the renowned drummer and producer Christian Prommer for an exclusive live session at the mighty hall of Radialsystem V. With openness and curiosity this special duo creates an electro-acoustic musical blend between jazz, funk, ambient, and groovy house music. Bugge Wesseltoft, who is considered the trailblazer of the young Nordic jazz generation and one of the most innovative pianists of today, and Christian Prommer, known for his collaboration with artists such as DJ Hell, Henrik Schwarz or Tony Allen, play together for the very first time in Germany: An interplay in the experimental spectrum between classical and electronic instrumentation and a unique live project fusing the musical biographies and manifold qualities of its protagonists – without the corset of a predetermined course, open for unexpected developments, spontaneity and the impulses of each other. Tickets are available now at Radialsystem’s box-office (22 €) and online (plus fees)! The Norwegian Bugge Wesseltoft is regarded as one of the most innovative jazz pianists of today. 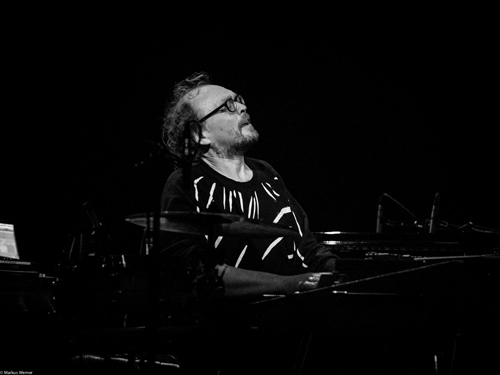 Since the 1990s, Wesseltoft has collaborated with numerous important figures of the Nordic and international jazz world like Jan Garbarek, Terje Rypdal, Jon Christensen, Nils Petter Molvaer, and Arild Andersen, as well as with stylistically quite different artists such as the drummer Billy Cobham, the Brazilian pop star Gilberto Gil or the techno legend Laurent Garnier. With his „New Conception of Jazz“ he aims at a synthesis of live electronics and the means of improvised jazz – his debut album of the same name, on which he integrates elements from priligy kaufen deep house, ambient music, drum’n’bass as well as from soul and funk, is considered as ground-breaking since its release in 1996 until today. Wesseltoft has played on countless stages around the world and released more than 15 albums, just recently with the Norwegian classical violinist and viola player Henning Kraggerud and with the successful techno producer Henrik Schwarz and Dan Berglund, bassist of e.s.t. With his label Jazzland he has created a platform for the Norwegian scene with artistic freedom beyond mainstream. Influenced by jazz, funk and soul, but also house, Detroit techno and electronica, Christian Prommer constantly explores new musical ground beyond traditional genre boundaries. With his various projects and collaborations, he has been one of the most prestigious drummers, producers and DJs for more than two decades. Apart from coining the label „nu jazz“ with Fauna Flash in the 1990s, he has repeatedly experimented in the field between club music and jazz – be it as founding member of the Trüby Trio and Voom:Voom, or as author and producer for artists such as Kruder & Dorfmeister and DJ Hell. In addition he has collaborated with musicians like Carl Craig, Tony Allen, Till Brönner, Mousse T, Wolfgang Haffner, Klaus Doldinger, Henrik Schwarz, Johannes Brecht, or Solomun, and has been invited as live musician and DJ to renowned clubs and festivals such as Sonar in Barcelona, World Wide Festival in Singapur, Crossover Jazz Festival in Tokyo, North Sea Jazz Festival in Rotterdam, and Montreux Jazz Festival. 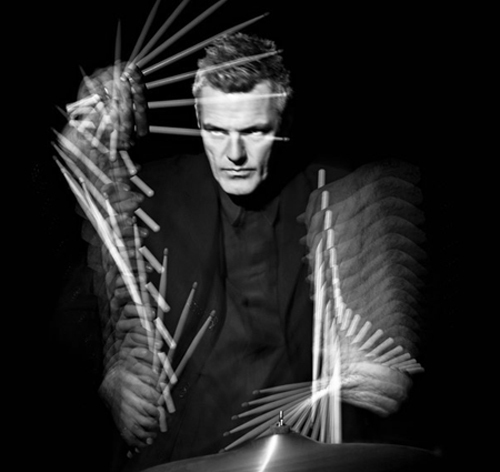 In 2007 he started his project „Drumlesson“ with an instrumental jazz version of Derrick May’s Detroit techno hymn „Strings of Life,“ which ended up being an international club hit. For ten years, he has performed live with his „Drumlessons“ and alternating outstanding guest musicians, thereby combining his jazz roots with his passion for electronic club music. Prommer has released a large number of albums and singles on various renowned labels, he has been nominated for the Echo and received the German Record Critics‘ Award. UM:LAUT is a live platform for artists and labels availing themselves of various musical traditions, realising ambitious and unique projects regardless of genre boundaries. The series' focus lies on the experimental range between classical and electronic instrumentation, composition and improvisation, club and concert hall. Considering itself an open stage for cooperations between artists of different disciplines, UM:LAUT aims to present music in dialogue with other art forms – music giving impulses to film, video, photography, installation, dance and performance. © 2011 —. All Rights Reserved.